With any building project, or during the process of any lasting endeavor, there will always be a variety of bumps in the road. In our minds we’d like things to progress smoothly. We make predictions based on an internalized _flow_ from one task to the next. But then there’s a bump and the flow stops. Anxiety sets in. You start wondering whether the project is really moving forward. Doubts start to magnify. You don’t sleep as well. In my case I was able, with some help, to get the Banjar (local community) and district signatures and stamps that I needed — as part of the building permit process. Neighbors on all sides of the property sign off, then the neighborhood Banjar, then the regional head of the local Banjar groups, and finally the director / head of the district. None of this includes the Indonesian government. They have their own set of processes that have more to do with land zoning, ownership, and the purposes of the proposed structure. However, they require local and regional representatives to sign off on the project too. In terms of the government permit (IMB), we made some changes to the drawings (this is our second attempt for building plan approval) but there were still a few mistakes. In the drawing above, on the left side, we reduced the number of levels from three to two, as there are a maximum of two levels that are allowed for a Pondak Wisata (home stay) permit. 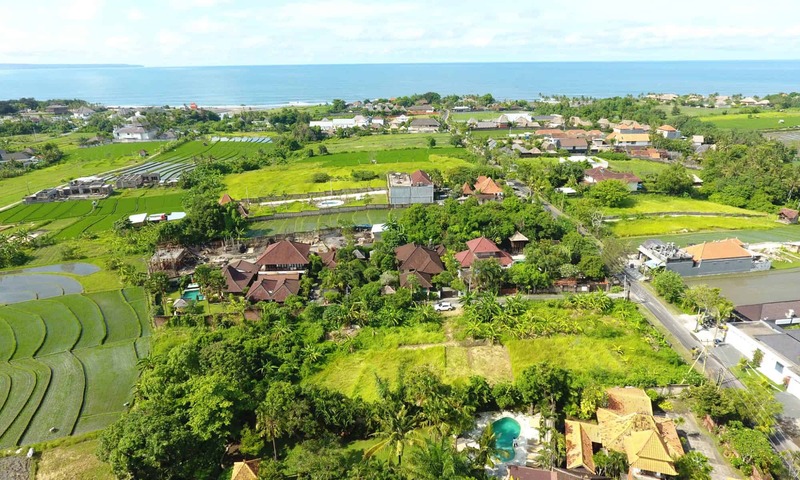 Bali has always had building height restrictions but the architecture team didn’t know about the limit on residential levels. Our height restriction is fine, as its below 15 meters. A Pondak Wisata is a renewable license for five years at a time, with income taxes paid monthly or annually. You can have up to five rental units, plus a unit for the owner. On the right side of the drawing we showed roof access (the pergola), two residential levels, and a parking area. We were told to get rid of the pergola and the staircase leading to the roof. If we want to build access to the roof it can be done after the permit is completed. Like most government procedures, if you follow their restrictions you will eventually get what you want — on paper. In reality you have to make a plan for the builder, as well as one for the government. Finally, we were told to make an elevation drawing so that the parking area is below the ground. This way it cannot be mistaken for a building level. As stated above, we had progress (the signatures and stamps), but also went sideways with the government. The good news is that the government is willing to work with you. In exchange, they want plans that they can approve, even though it may not line up with what happens on the building site. This is expected in most places. Here in Indonesia its a bit more than just re-naming rooms. You may have to build a staircase after the fact. And the government will tell you that when you consult with them, which is strangely reassuring.